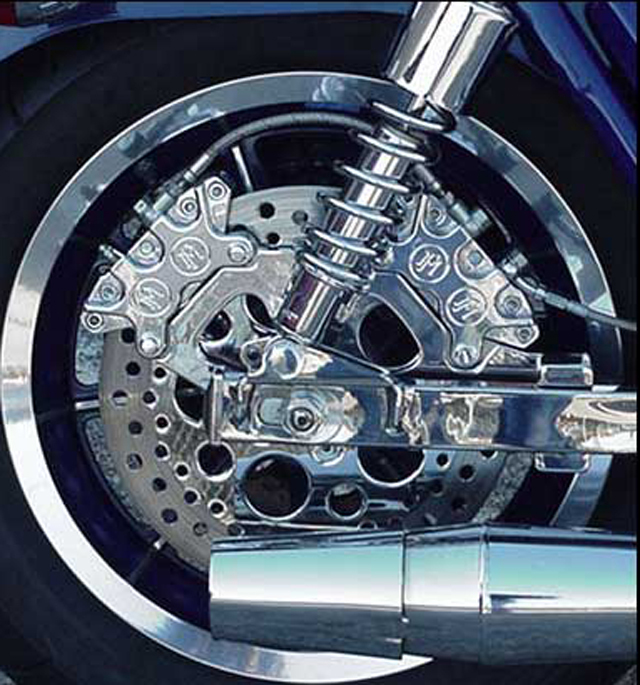 PageMake your bike stand out in the crowd with show quality, award winning chrome. 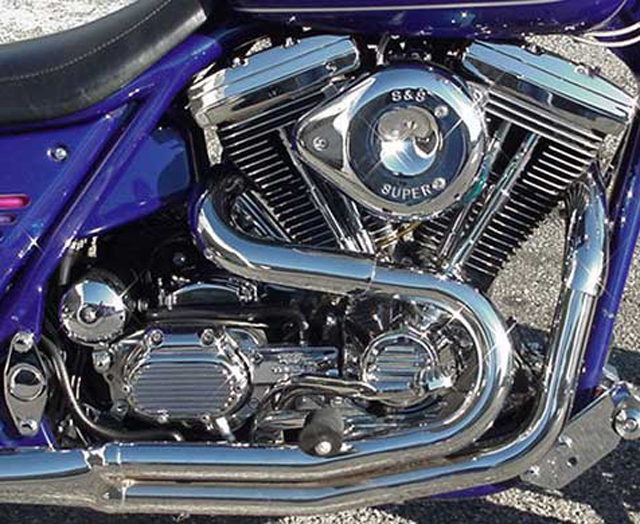 Make your bike stand out in the crowd with show quality, award winning chrome. There are so many custom finishes available these days. Powder coating, anodizing, paint...but sometimes you just gotta have a big dose of good ol' chromium. We use Atlatic Coast Plating. Atlantic Coast Plating was founded in Fort Lauderdale, Florida in 1980. We relocated to Athens, Tennessee in 2006. Our 14,000 sq.ft. facility in Athens, Tennessee has all the new EPA and OSHA approved equipment. Atlantic Coast goes beyond any OEM plating with a specially developed process that gives your parts a high quality, long lasting finish. They have optimized this with a totally automated process that controls every step in the process, insuring the absolute best in plating. In plating you get what you pay for. When you send you parts to us for plating you're guaranteed to get a custom plating job that's done 1st class. Chrome plating pricing varies with the quality of the item you want plated. cleaning and polishing of a part will vary greatly and will be quoted on as part basis. We will need to see the parts you want to chrome plated to check their condition for flaws and corrosion before providing an estimate. You can get a rough idea of chrome plating costs using Atlantic Coast Price List again prices will vary with condition of parts and prices on Atlantic Coast catalog do not include disassembly or installation or shipping.